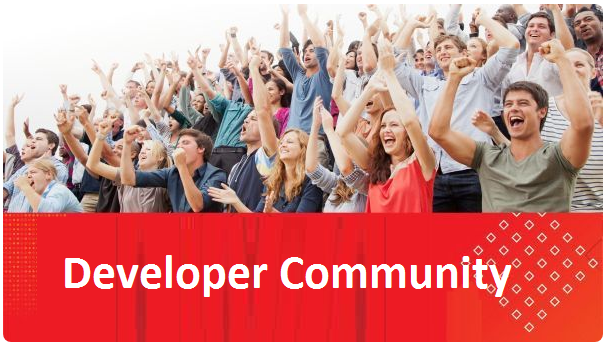 Oracle Bots comes with platform Translation services, which you can connect to Google or Microsoft services to translate the bot to user default locale. But what if you want to control this auto-translation and restrict the bot to only a few languages. Or want to do Intent matching properly or extracting the Entities properly depending on the language. In the following Bot Design pattern, I will explain how to approach a development of an Oracle Bot which support multiple languages with different Intents and Entity sets. Before I start, I have to give credit to Oracle A-Team for this, they are the one who first introduced this, I am merely a message-borrower in there. So special thanks to Tamer Qumhieh and Steven Davelaar. You need to create a bot which can respond to multiple languages, with proper Intent matching and Entity identification. Also, the implementation later can be extended to new languages with minimal changes to existing bot implementation. 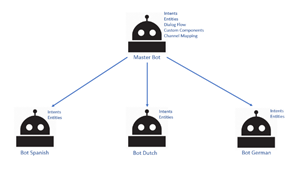 You need to create a Master-Bot, which will hold the Intents, Entities, Dialog Flow, Custom Component mapping and Channel(Facebook, Webhook) mapping of the bot. Then you need to create language specific bots, which will only hold Intents and Entities(optionally, only if you have a requirement to match language specific entities). Read the complete article here.